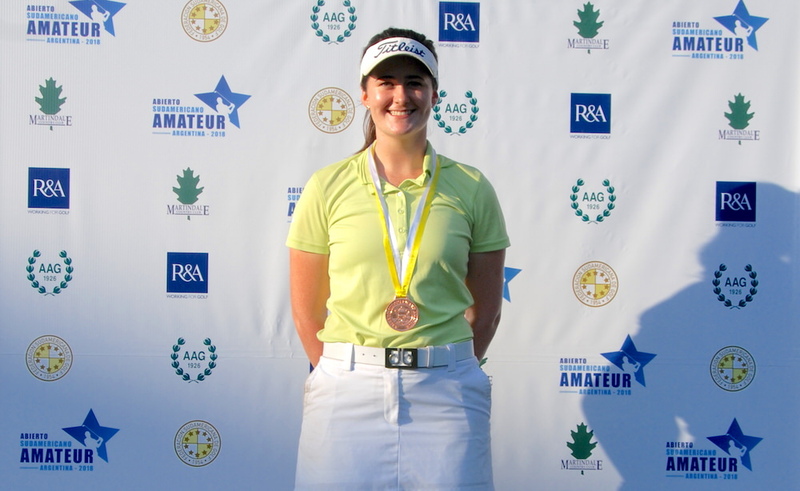 Paula Grant shows off her bronze medal after her third place finish in the South American Amateur Championship in Argentina. On a day when Castle's Alex Gleeson tied for fifth in the men's championship and Robin Dawson produced a fast finish to claim a share of 12th, Grant ended up just two shots behind Paraguay's Milagros Chaves, who claimed victory with a chip-in birdie at the last as the overnight leader Silvia Garces double bogeyed. 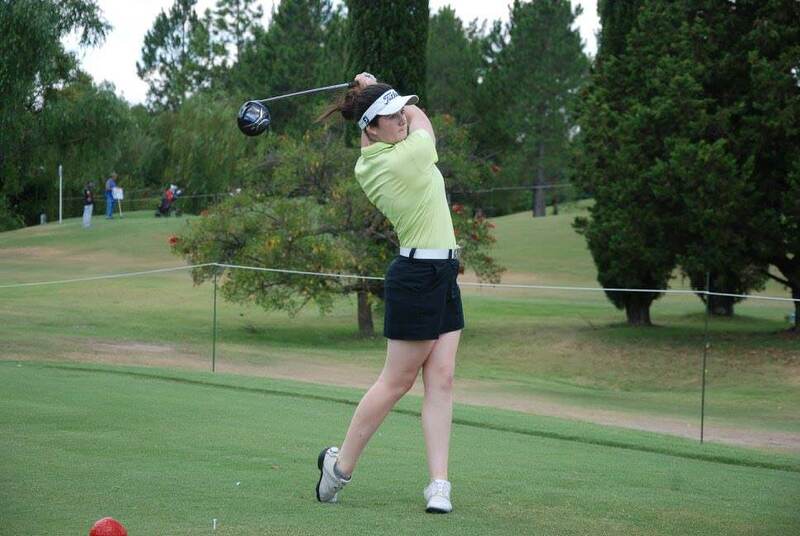 Lurgan's Annabel Wilson, another likely Curtis Cup contender, shot 76 on the final day to share 22nd on nine-over. Victory was always going to be a challenge for Gleeson in the men's event as he began the final day eight strokes behind Canada's Chris Crisologo, the eventual winner. The Castle player was alone in fourth, five off the lead with nine to play after going out in one-under 35 to Crisologo's 38. But a level par back nine featuring two birdies and two bogeys meant he signed a one-under 71 and finished tied for fifth on seven-under with New Zealander Charlie Hillier. Crisologo was just three ahead of Alejandro Tosti at the turn but birdied the 10th, 11th, 12th and 14th to go seven ahead and while he bogeyed the 15th, 16th and 18th, he still shot 73 to win by four shots from the Argentinian on 13-under par, clinching a place in the European Amateur Championship this summer. Dawson can also be pleased with his first outing since last year's European Tour Qualifying School, making fewer mistakes than the winner over the four days but recording "just" 14 birdies to Crisologo's haul of an eagle and 23 birdies with eight of them coming in a third round 64. 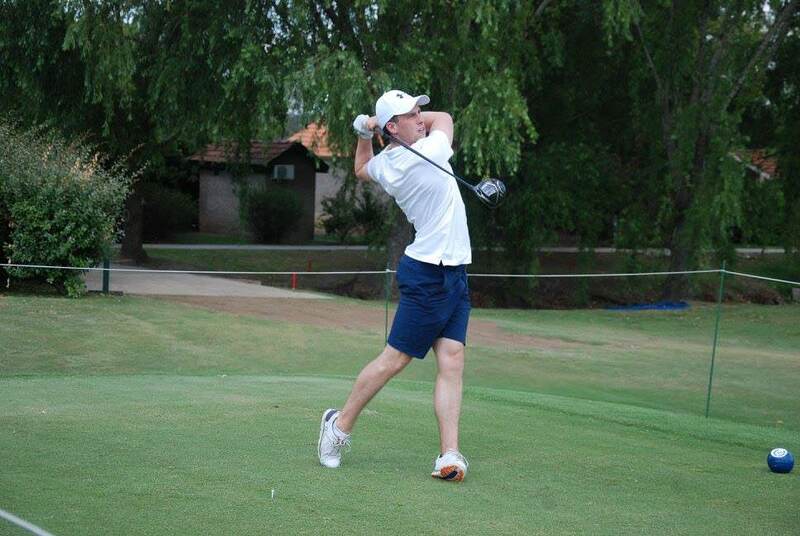 Former "Close" champion Gleeson made 20 birdies and 13 bogeys over the 72 holes and like Dawson, he will be looking forward to next month's trip to South Africa for the South African Stroke Play Championship and the African Amateur Championship.